A Node may have one or more events. An event is an action that can be triggered manually. Smart Scenes allows you to do some actions when a desired event is fired. 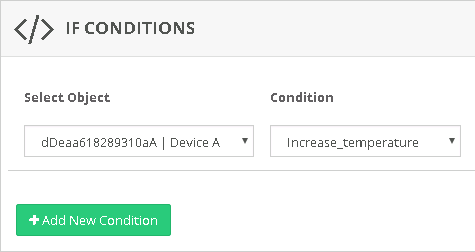 In this case when the event 'Increase_temperature' start we send a command to a Node.